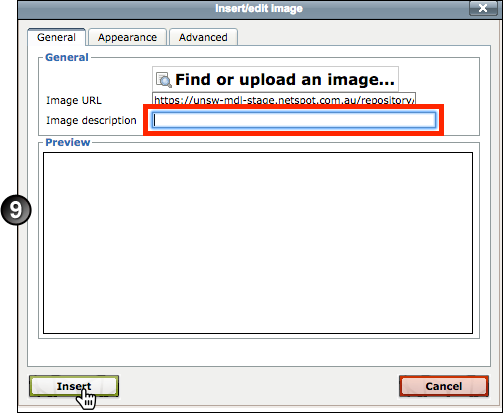 Method 1 - Recommended for ease of use - Insert galleries, images, videos and audio using the Moodle text editor - good for displaying a single gallery or media item within a Moodle topic or activity/resource. Method 2 - Display a group of galleries - good for displaying multiple galleries. Method 3 - Display a video from theBox using an embed code - good for displaying a single video within a Moodle topic or activity/resource and you need to have the video auto play. If you do not need the video to auto play, we recommend Method 1. In any topic, activity or resource in your Moodle course where you can access the text editor you can display a gallery or media item from theBox. Navigate to your course and click Turn editing on . Navigate to the topic, activity or resource you wish to link a video or audio file in and select Edit settings from the Edit dropdown menu. In the text editor click the Insert Moodle media button . If the toolbar is not showing, click the Toolbar Toggle button . From the File picker, choose theBox from the list on the left hand side of the window. Use the Search field to locate the item you wish to link to. You will be able to search for your own video and audio files as well as images other users have made available to staff. You can also select the file type to narrow down your search. 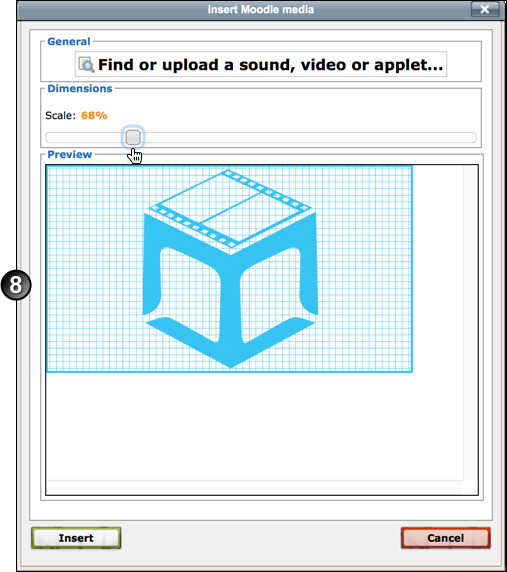 If you do not have a pre-uploaded resource, you can upload a video/audio into theBox and then share it. Click on the video or audio file to select it. Choose Link to the file directly on the resulting dialogue window and click Select this file. Note: A shrunk video can still be expanded to full-screen with the expand button. 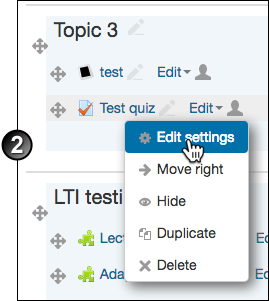 Navigate to the topic, activity or resource you wish to display an image in and select Edit settings from the Edit dropdown menu. In the text editor click the Insert/edit image button . If the toolbar is not showing, click the Toolbar Toggle button . From the File picker choose theBox from the list on the left hand side of the window. Use the Search field to locate the item you wish to link to. 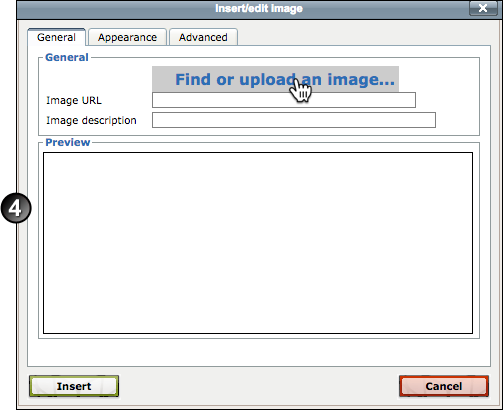 You will be able to search for your own images as well as images other users have made available to staff. Enter an image description and click Insert. Navigate to the topic, activity or resource you wish to display a media gallery in and select Edit settings from the Edit dropdown menu. In the text editor click the Media Gallery icon . If the toolbar is not showing, click the Toolbar Toggle button . Select the gallery you wish to share and click insert. Save changes to the activity. Note: This method of sharing only allows you to choose a gallery that appears in the current course. The gallery will now be available in the activity/section. For more information on to link to collections, galleries or media items, click here. You can embed a video in your Moodle course by pasting an embed code in the editor. 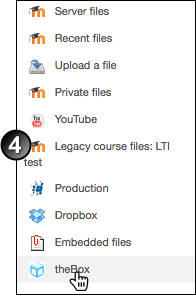 This option is only recommended if you need to have the video autostart in Moodle. If you do not need this option it is simpler to use Method 1. Log in to theBox using your zID and zPass. Navigate to the video you want to share. Click the edit video button or the pencil icon. Scroll down to the Restrict access to dropdown and select Just Me. Scroll down to the External access title, and click Enable. Click Save. An embed code will now appear on the page. Click on the embed code. Select the quality you wish to use. If you want the video to automatically start playing, click the Autostart checkbox. Note, this may not work when used within a program. Click the embed code again and copy it. Navigate to the topic, activity or resource you wish to embed the video in and select Edit settings from the Edit dropdown menu. In the text editor click the Edit HTML source icon . Paste the embed code where you wish to display the video and clcik Update.